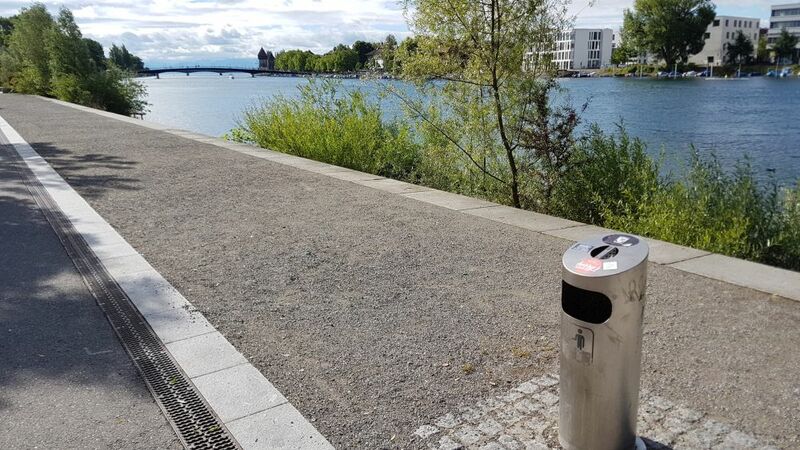 I’ve written about garbage in Texas and garbage in Switzerland. The receptacle you see here is not a receptacle at all, but rather a chute over a huge underground garbage cistern. Periodically a worker in a special vacuum truck will come by and use a huge boom to vacuum all the garbage out of the cistern.